Are your clinicians ready for less alarm fatigue and more efficient workflows? Vocera Engage can help you manage clinical alarms and alerts, in coordination with the Engage Mobile app. You can apply advanced rules within Engage to filter and rank patient events by urgency. The system then sends only actionable notifications, accompanied by relevant context about the patient, caregiver, and event, to the appropriate recipients. 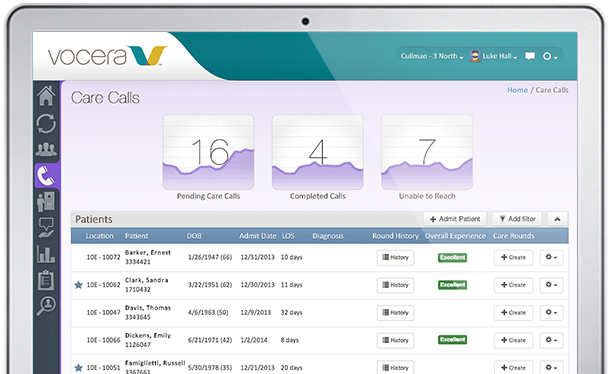 Care team members receive the messages on their Android or iOS device using Engage Mobile, or via desktop, Vocera Badge, or VoIP device.